As we covered in our first quarter 2018 White Metal Market Report (WMMR), 2017 was a banner year for the medium-duty truck market (Class 3-7 trucks.) With volumes up more than 10% over 2016 and a serious shortage of vehicles perhaps the strongest year for wholesale demand and top-end pricing that we’ve seen in a decade. But with the economy and the red-hot stock market slowing down—and economic indicators fluctuating was it possible for the first quarter of 2018 to duplicate the kind of lofty numbers and unchecked demand we saw in 2017? As the leader in medium duty truck disposal, our goal at FLD is simple: Keep our finger on the pulse of what’s happening today so our customers and partners have the critical information and unparalleled insights they need to compete and win in today’s fast-paced marketplace. Q1 2018: THE WHITE METAL MARKET STAYS HOT! In a nutshell while we have not seen the kind of run away numbers or pent-up demand that was so evident in 2017 the first quarter of 2018 was extremely healthy and sets 2018 up to be yet another strong year for the sector. In fact, wholesale volumes were up more than 8% over the same period in the prior year. And, while we did see strong price action, volumes were up only slightly over the final quarter of 2017. We see this increase in demand for Class Six vehicles as a result of the CSA requirements for drivers and the CDL driver shortage. We also believe increased demand for Class Six vehicles is dictating price support across the entire medium duty sector, but there are always a number of additional factors driving demand and pricing for medium class vehicles. 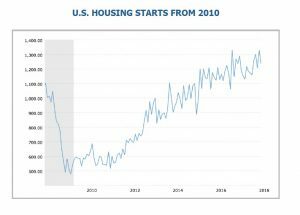 NEW HOUSING STARTS negatively impacted by the severe norther winter are starting to pick back up and are expected to create greater vehicle demand in Q2 and beyond. EMPLOYMENT remains stable as it is compared to 2017, meaning the economy continues to create jobs, leading to greater demand for goods, but less drivers to deliver them. The U.S. DOLLAR shows signs of weakening against other central and north American currencies, which should lead to an increase in interest rates that will likely apply downward pressure on the dollar. CRUDE OIL is showing strength on the OPEC production agreements. As pricing stabilizes, expect U.S. shale producers to push more volume into the markets. Rising crude will also likely manifest an increase in fuel prices during the summer and fall quarters. Truck wholesale volume is often driven by my many factors. 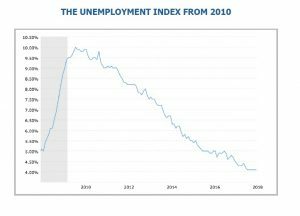 Over the years, two of the most consistent indicators have been unemployment and construction. Unemployment has the obvious effect, trucks need drivers, so when unemployment is low as it is today, there are less drivers available, forcing companies to update and upgrade equipment in an effort to attract and retain drivers. In addition, when unemployment is low and people are employed and purchasing an increased amount of goods like they are today, these goods need to be delivered. This further drives both price and demand for medium duty RV trucks that can deliver quickly and efficiently. demand for “White Metal” vehicles. Building these homes also requires medium duty trucks to deliver appliances and furniture from big box stores, flooring and plumbing fixtures from warehouses, and landscaping and infrastructure services, further driving demand while affecting both volumes and price. Surprisingly, exports of medium duty vehicles are still strong considering the continued strength of the dollar. 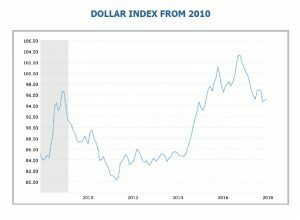 As medium duty experts, we believe if there is any erosion in the U.S. currency over the next three months, demand for exports could really be much stronger, leading to vehicle shortages and driving demand. However, while the need is there, the inventory remains slightly out of reach at this time. From all indications, the strong demand we saw for vehicles in 2017 has definitely carried over into the first quarter of this year. At this point, pricing for pre-emissions units has remained very strong as inventory becomes aged and scarce. Unfortunately, trucks in the first generation of post emissions era (2008-2011) have not fared as well, with the majority of trucks showing up in the wholesale markets generally being larger amounts of 2012 trucks. One important factor to note is that pricing appears to be stabilizing, especially in the class five and six markets. Vocational specs in these classes are still showing strong numbers in the 2007-2009 model years, as well as post emission 2012 and newer. On an encouraging note, demand and pricing remain stable. Q1 usually marks the beginning of the construction season, and from all indications 2018 will be a good year for construction as infrastructure contracts and spring projects are ramping up across the country with the dawn of a new budget year. The severe weather that had a stifling effect this winter is abating, and I would expect to see demand holding steady and possibly increasing into late Q2 and Q3. After a strong finish to 2017 and equally strong start to this year most signs point to yet another strong year for the medium duty truck market in 2018. In addition to increased activity in the housing market, the fast-growing “last mile” segment continues to drive both demand and price, as big box stores and service providers require increased legions of medium duty vehicles to meet ravenous consumer demand. At this point, the only possible headwind over the next three to six months would be an increase in interest rates. If money becomes more expensive and credit tightens some end users will be priced out of the market. And while this is never an optimal scenario strength in other areas leads me to believe this may not be a severe negative. Meanwhile off-lease and rental volumes remain strong and the market is still able to accept these units without any hesitation. This means demand is still ahead of the supply in our segment, indicating the market for used medium duty vehicles is robust and growing. industry as we move through Q2 and into Q3. Of course, the hours of service rules are still in debate, and nothing seems to have been permanently resolved. We’ll be back next quarter with an overview of these and other factors affecting the medium duty truck market, including our thoughts on this year’s NAFA I & E being held this month in Anaheim, and a look ahead to the AFLA show being held this August in Orlando.